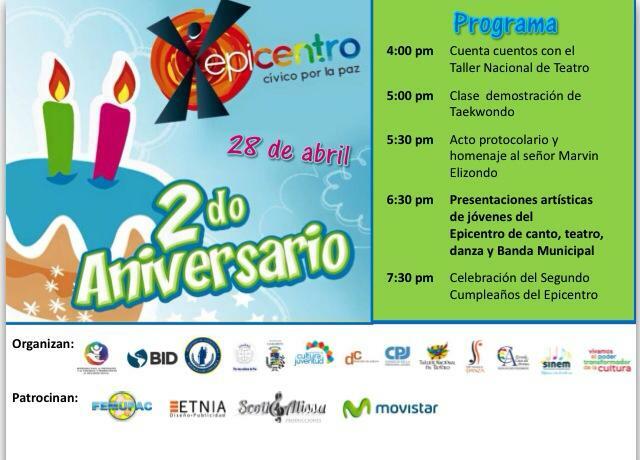 The Epicentro por la Paz de Garabito is celebrating its second Anniversary this Thursday, April 28, 2016. The Epicentro community center is a meeting place for everyone in the Garabito county. They regularly hold classes in art, theater, dance, ceramics and English; just to name a few. The skate park and basketball court are always available. The basketball court is definitely a favorite for Costa Rica Charlie, Charles Boyd. 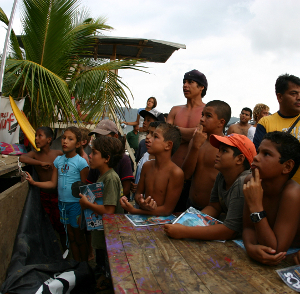 He enjoys playing with his son, as well as the other kids from Support Jaco Youth. 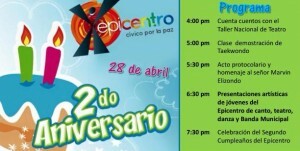 It is such a blessing to be able to celebrate the second year of the Epicentro. We have gratitude for the difference it makes in the lives of everyone in the community. Everyone at The Costa Rica Team wishes the staff at the community center well and we all hope that the Epicentro will continue to prosper and grow as a positive meeting place for educational and recreational empowerment. On Thursday evening beginning at 4pm there will be various presentations and productions that the students at the center have been preparing. We invite everyone in the community to come out and enjoy this Anniversary celebration for the Epicentro por la Paz de Garabito.